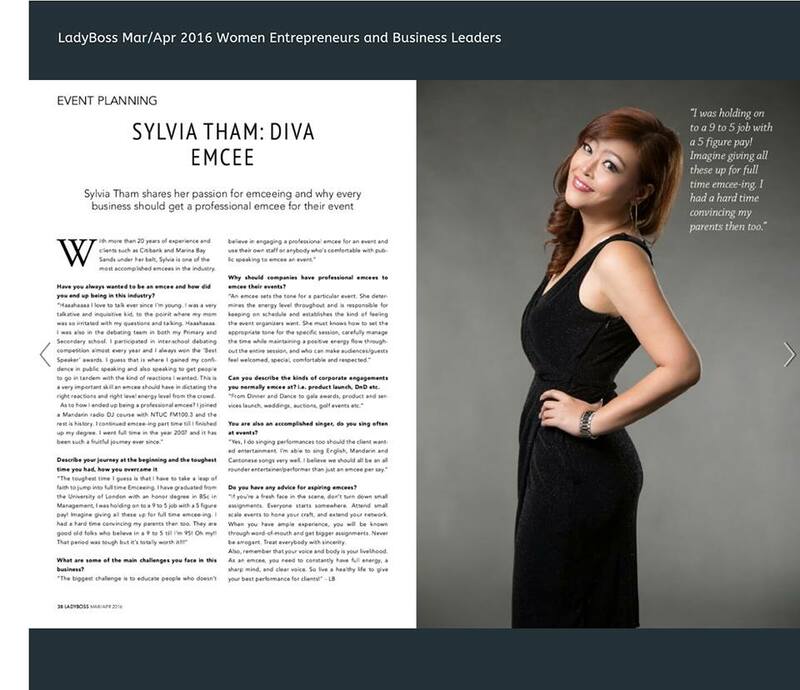 Known in the industry as the top female event and wedding emcee in Singapore, Sylvia is a highly versatile emcee and performer. She has co hosted with Moe Alkaff, Edmund Chen and mentored by ‘The Flying Dutchman’. Not only she is effectively Bilingual in English and Mandarin, she can also speak and host in Cantonese. From formal conferences, semi formal events to corporate Dinner and Dance, Sylvia has done it all. She is also very experienced and versatile on screen and a sought after voice-over artist. An energetic emcee who can also sing in events, she is very much in demand and she will be the spark to make your party go WILD!